Originally from El Paso, Texas, Julie E. Hudson has always been interested in the intersection between Latin American culture and African American culture, having written her dissertation on Gabriel Garcia Marquez and Toni Morrison. As a graduate student at the University of Texas at Austin, she specialized in African American Women’s Literature of the 19th and 20th century. She is in the planning stages of rewriting her Masters Report on Harriet A. Jacobs and Harriet E. Wilson into a book, which will include other prominent African American female writers. Her other research interests include literature of the Diaspora and 20th century Latin American Literature. 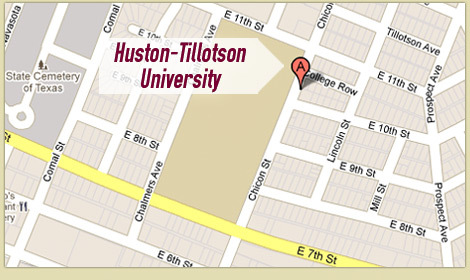 Dr. Hudson has been teaching at Huston-Tillotson University since fall 2000. Her courses have included Introduction to African and African American Literature, African American Literature,American Literature and Modern Critical Theory. In 2005 and 2006, she was awarded Certificates of Appreciation by Alpha Kappa Alpha sorority in recognition of her hard work and dedication to the English Department. She is a member of the Modern Language Association, National Council of Teachers of English, Toni Morrison Society, and the faculty advisor for Sigma Tau Delta English Honor Society and Alpha Kappa Mu Honor Society. She has served as the faculty advisor of the Cutting Edge, an HT literary magazine. Dr. Hudson is also the 2008 UNCF/Mellon Faculty representative. Dr. Hudson is also currently at work on a book that will focus on literature written by African American Women during the 19th and 20th century, and their perceptions and fictional representations of African American women, and the sexual, gender, and racial representations of them within both the African American community and society at large.